Superga, has agreed a deal for a new store at Westfield London. The brand has signed for an 884 sq ft store situated on the upper mall close to Havaianas and Lindex. Westfield London will be the retailer’s 8th store in the UK in addition to its other branches which include Carnaby Street and Covent Garden. 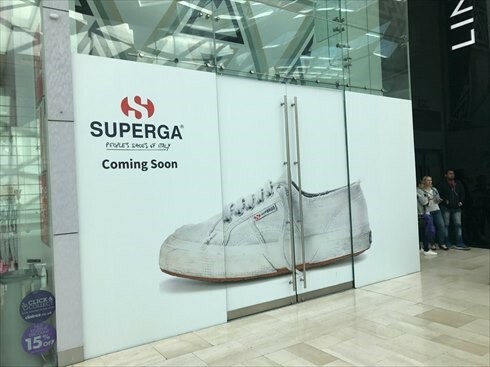 Luke Horan, Head of Retail at Superga, said “Westfield London provides an exciting new opportunity for Superga to explore one of the UK’s major shopping destinations. The store is due to open in April and will launch with the SS17 collection for men, women and kids. We will also be offering our popular personalisation services where one of our talented artists will be available to customise trainers upon request. We look forward to working with KLM Retail going forward as we look for new sites to showcase the brand”. Nash Bond acted for Westfield. KLM Retail acted for Superga.